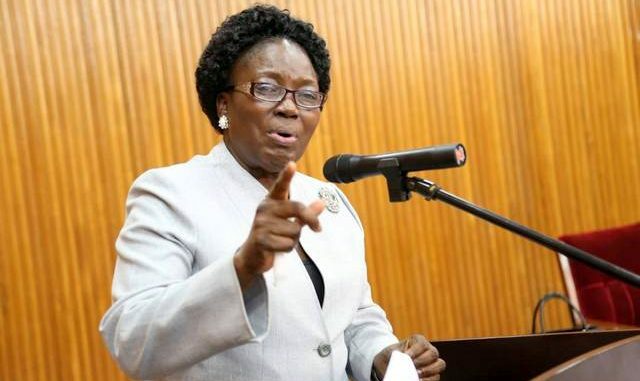 KAMPALA – The Speaker of Parliament Rebecca Kadaga has warned MPs against signing onto radio stations to bash reports of the Committees of Parliament, warning that such conduct was bringing the House into disrepute and would be punished. Ms. Kadaga’s remarks made in the Plenary Sitting on Wednesday, February 27 evening were in response to a procedural matter raised by MP Solomon Silwany who wondered if it was procedurally right for MPs to storm radio stations debating the bank closures report by the Committee on Commissions Statutory Authorities and State Enterprises (COSASE) that has put Bank of Uganda into the spotlight, before the debate on the report was done in the House. In his submission, MP Silwany pointed fingers at Democratic Party’s Lutamaguzi Ssemakula accusing him of making inflammatory remarks about COSASE members receiving bribes and describing the report as baseless. “If you continue, we shall bring you from media and discipline you here. Put an end to this! We shall bring you to the Rules Committee”. However, State Minister Youth Affairs, Ms. Nakiwala Kiyingi responded to this assertion, saying that local banks needed to be run properly. “Centenary Bank is number three with a capital base of 12% so it gives us room to think that if you handle services diligently, you remain in business. I don’t believe there is an effort to sabotage local banks,” she said. During the second day of the debate on the report, Ms. Jesca Ababiku (Adjumani Woman) accused Bank of Uganda officials of sabotaging Uganda’s financial sector. Ms. Otieno Okoth, also submitted arguing that something drastic must be done to save the image and integrity of our banking sector. 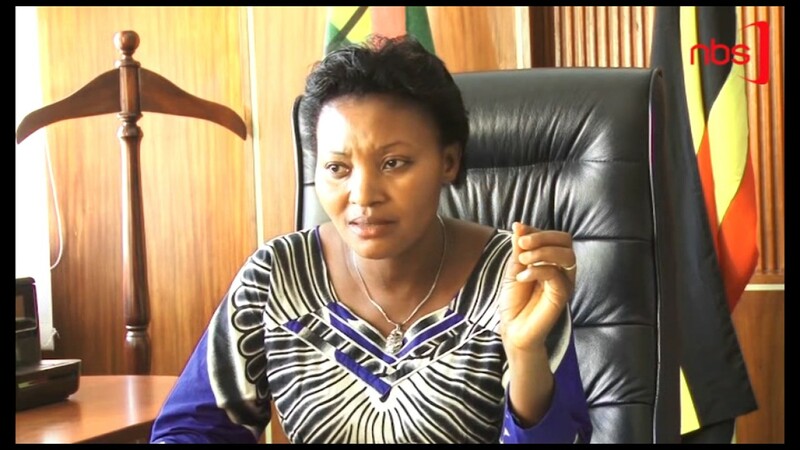 Former leader of Opposition in Parliament Winnie Kiiza calls for the compensation of directors in the banks the committee found had been “illegally” closed down by the central bank. Former Leader of Opposition, Winfred Kiiza said that it is unfortunate that it’s the very Ugandan officials from Bank of Uganda collapsing Ugandan owned local banks. “It was target to wipe out all Ugandan banks from the economy. It saddens us to learn that Bank of Uganda which has the mandate to superintend really slept on job. No wonder Museveni said his officers sleep on job but this time, they didn’t only sleep on job, they ate the job,”. Ms. Kiiza said she agreed with the recommendation in the report that calls for the compensation of directors in the banks the committee found had been “illegally” closed down by the central bank. “We are here babysitting foreigners at expense of our own investors; our own investors are being sabotaged! I am looking at Sudhir, he has lost a lot of weight, and possibly it is because of closure of his bank. When you find them you feel pity, they have grown old because of selling their banks”. Parliament has this week been debating the report of the Committee on Commissions, Statutory Authorities and State Enterprises, which has made groundbreaking recommendations against Bank of Uganda and individuals named in what the MPs termed as “unlawful” closure of especially three banks, including tycoon Sudhir Rupareria’s Crane Bank Ltd. The report called for the compensation of directors in three banks – the Crane Bank Ltd, National Bank of Commerce, and Global Trust Bank, after the MPs faulted Bank of Uganda for negligently disposing of the defunct banks and breaking several provisions of the Financial Institutions Act (2004). The COSASE inquiry into the conduct of Bank of Uganda and it’s officials in the closure of seven banks, with some ending up in massive controversy that lasted for the last three months has brought focus the mismanagement of closed banks by BoU after the Auditor General Mr John Muwanga issued a stinging criticism of the central bank in a special audit that cited massive flaws in the closure of Teefe Bank (1993), International Credit Bank Ltd (1998), Greenland Bank (1999), The Co-operative Bank (1999), National Bank of Commerce (2012), Global Trust Bank (2014) and the sale of Crane Bank Ltd (CBL) to dfcu (2016).